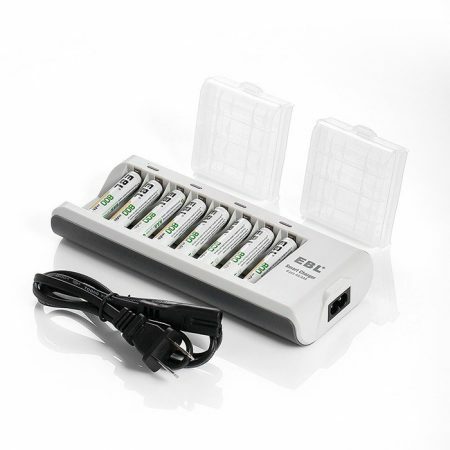 Individual Smart Charger can charge 1 to 4 Li-ion (26650, 22650, 18650, 17670, 18490, 17500, 18350, 16340(RCR123), 14500, 10440), Ni-MH and Ni-CD (AA, AAA, AAAA, C) rechargeable batteries. 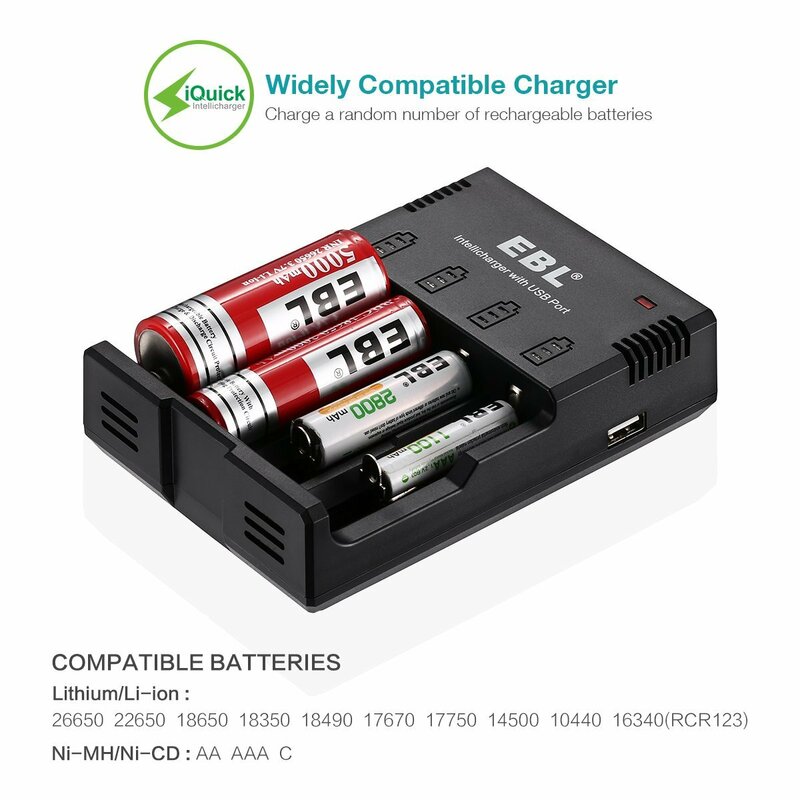 iQuick technology with 500mA/slot output is faster than many common battery chargers. 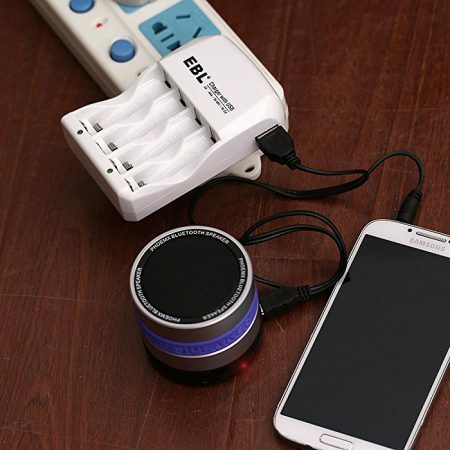 The smart USB port can charge your smartphones & tablets. 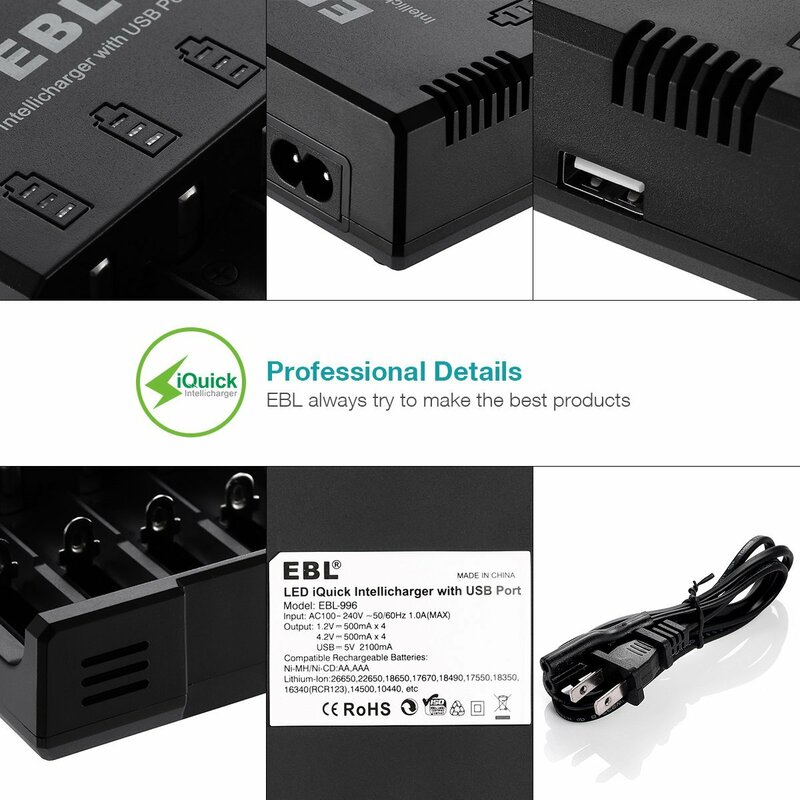 MCU controlled technology provides advanced “overtime” protection, it automatically stops charging when charge is completed. 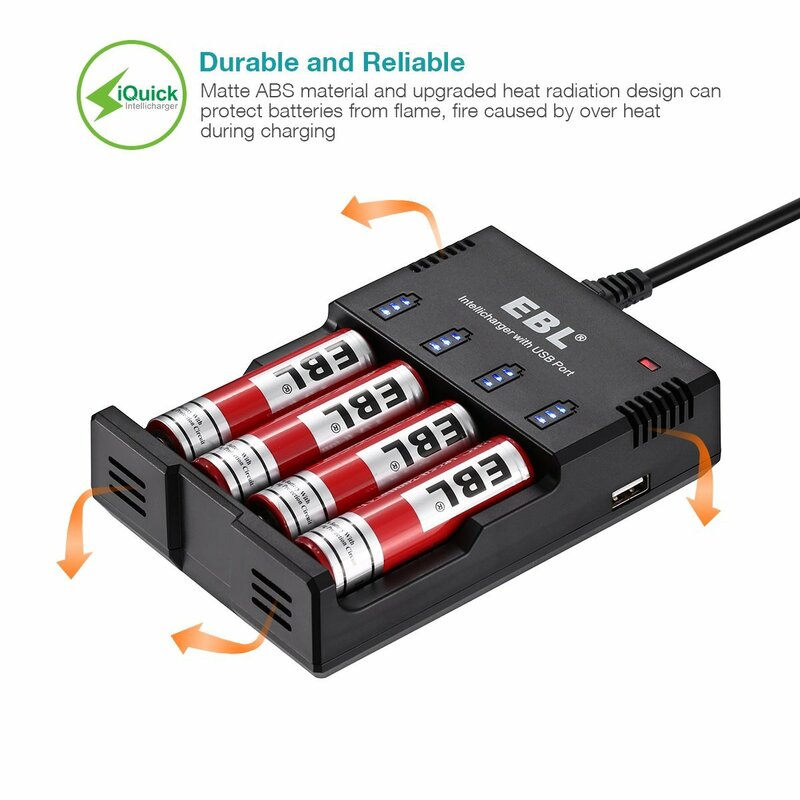 Equipped with advanced cooling system, it protects your batteries from over heating. 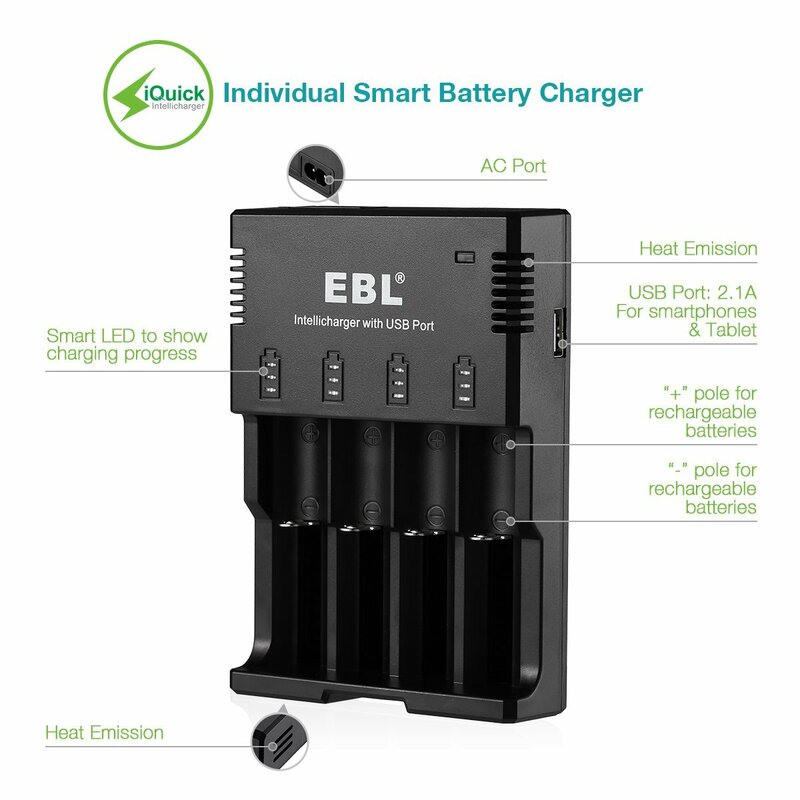 Smart LEDs clearly show charging progress, when the 3 small LEDs of a charging slot are on, the battery is fully charged. 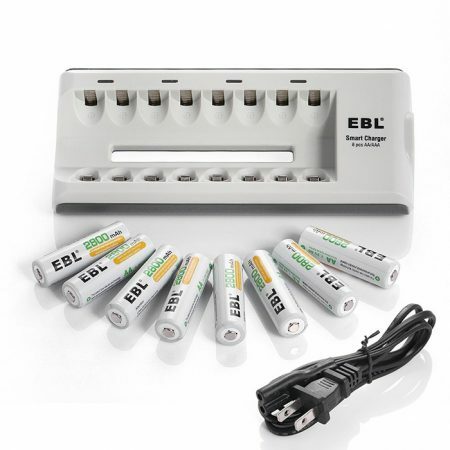 1/2/3/4 Li-ion (26650, 22650, 18650, 17670, 18490, 17500, 18350, 16340(RCR123), 14500, 10440), Ni-MH and Ni-CD(AA, AAA, AAAA, C) rechargeable batteries. 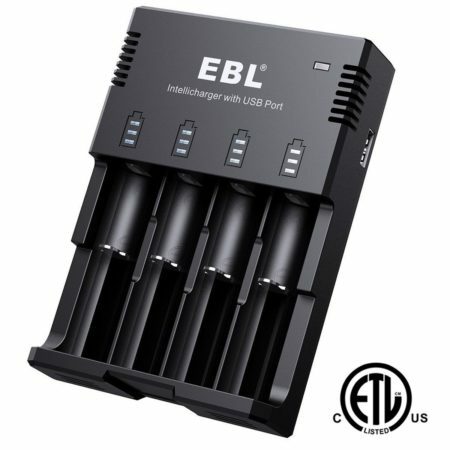 EBL 996 battery charger is able to charge a random number of Li-ion Ni-MH Ni-CD rechargeable batteries. 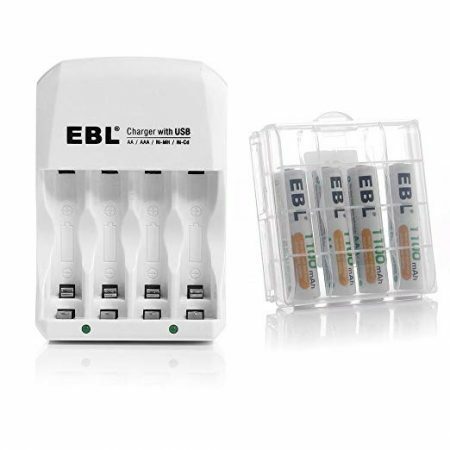 The charger can charge different types of batteries simultaneously. 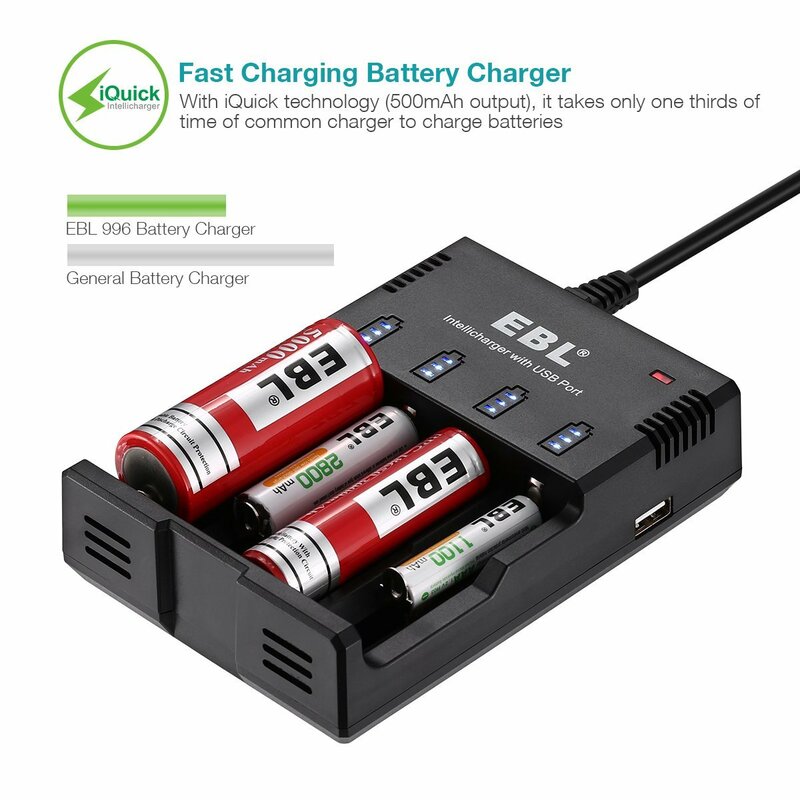 Output current up to 500mA±50mA/slot, it only takes half time of common charger to fully charge the batteries. 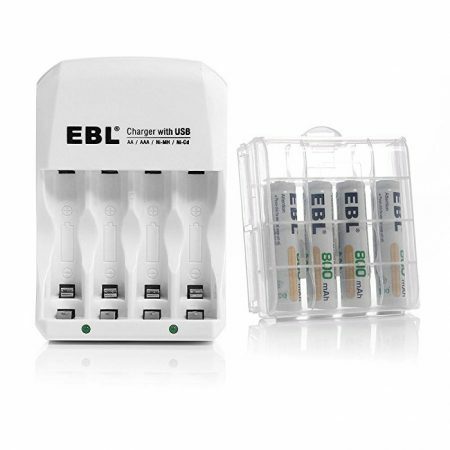 * The charging modes provide constant current and voltage, overheat-detection and over-charge protection. 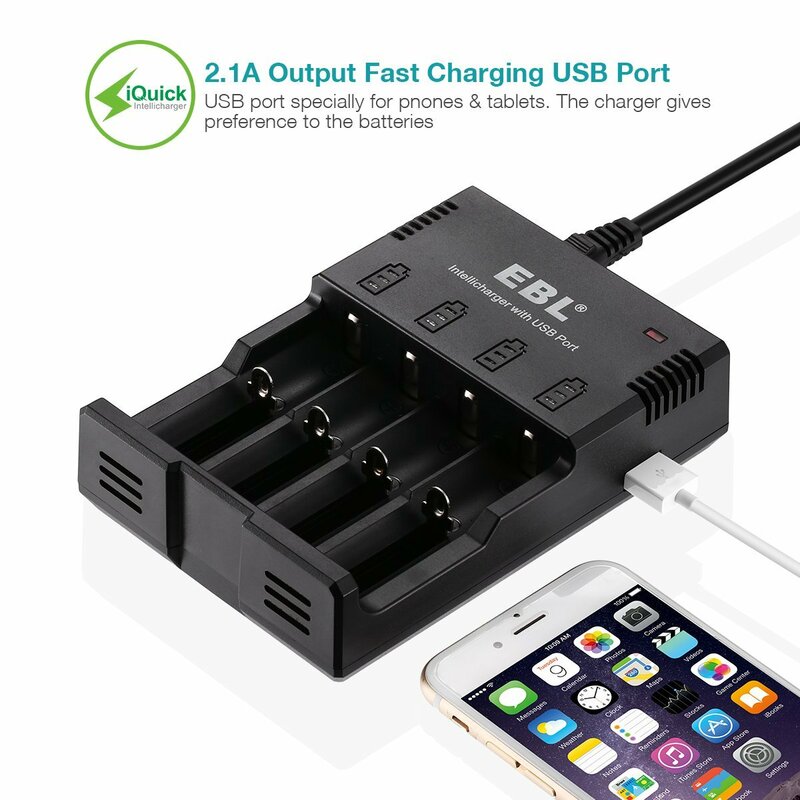 * With MCU controlled technology with △V pulse charging, it automatically stops charging when charge is completed.